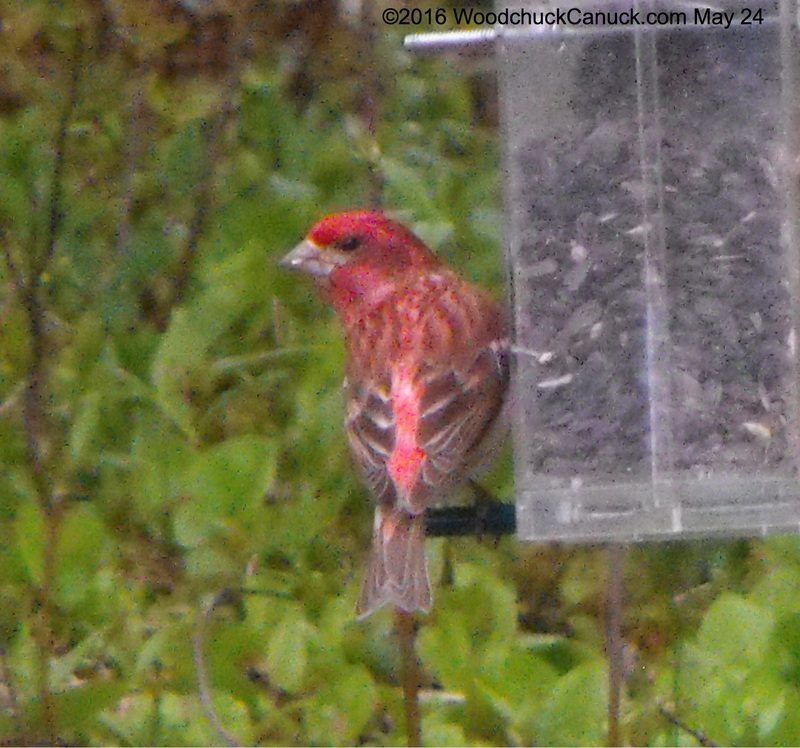 This Purple Finch was at the feeder this morning, sharing with a bluejay and other finches. 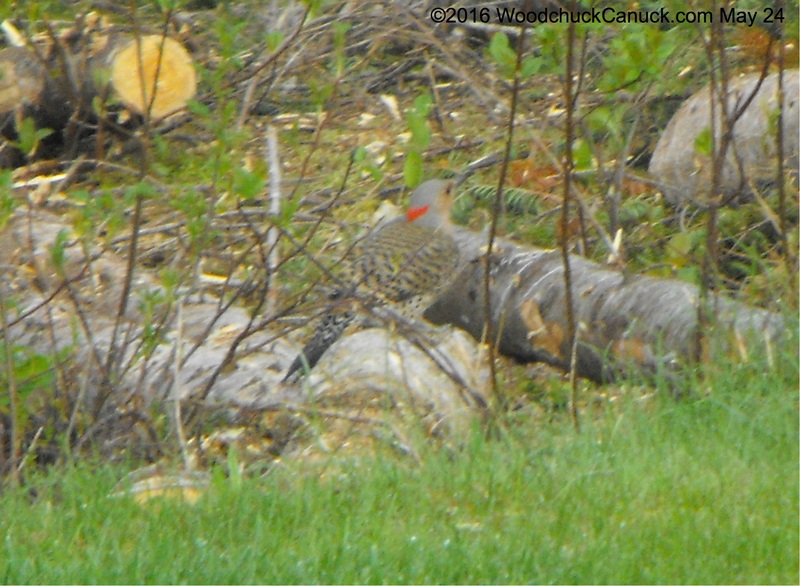 Shortly thereafter, this bird showed up in a clearing in front of the house, pecking at the logs on the ground. It’s a Northern Flicker!